We can always learn how to do things better! The orchards we took on for the project were generally in poor condition. Pruning was very important to restore good growth. Each orchard was surveyed by experts for its wildlife value and mapped for fruit varieties. 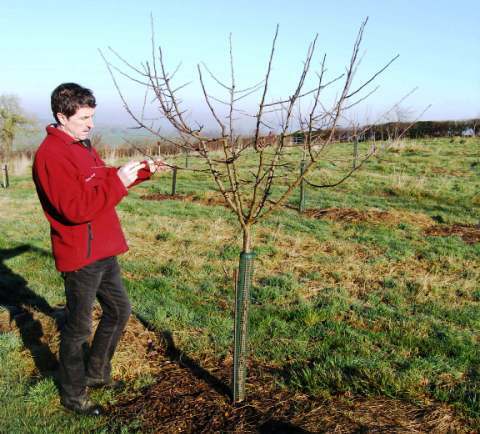 We have also produced a range of practical resources to help orchard owners maintain a healthy orchard. 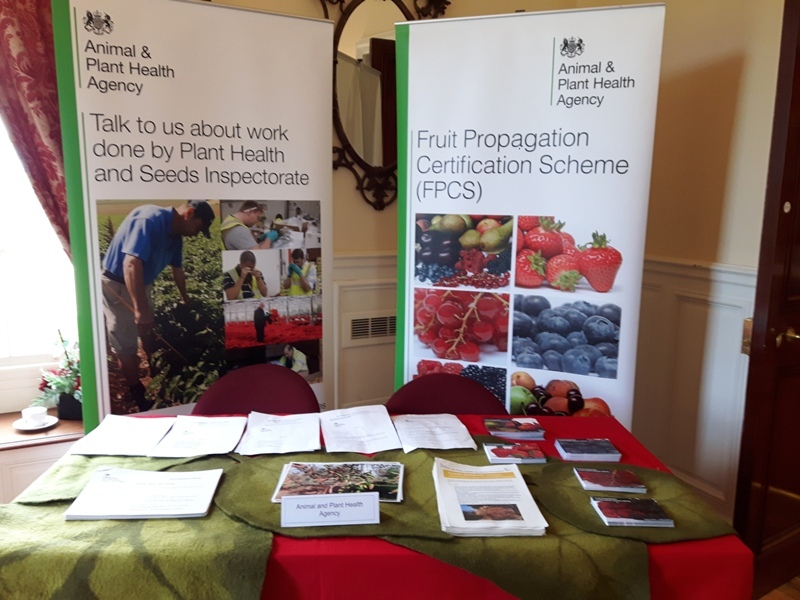 Whilst many of the practical methods of caring for the trees have barely changed, scientific advances have greatly improved the accuracy of our identification of their crops. 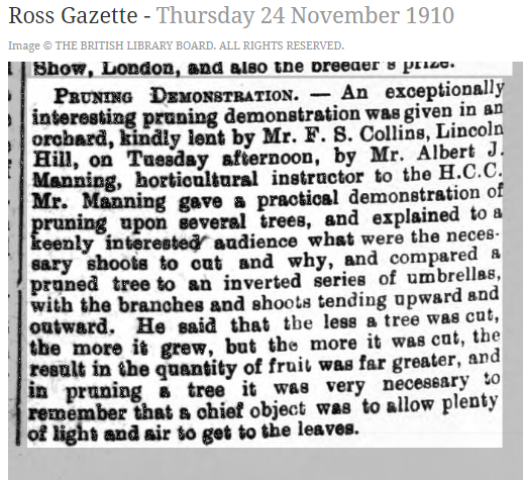 This newspaper report of a local orchard skills training event in Ross on Wye in 1910 describes the ‘wine-glass’ method of pruning still used today – see the photo below the report for a contemporary example. In the past, many identification processes relied on close observations of stones, skins, seeds, colours, tastes, smells and shapes of the fruit. 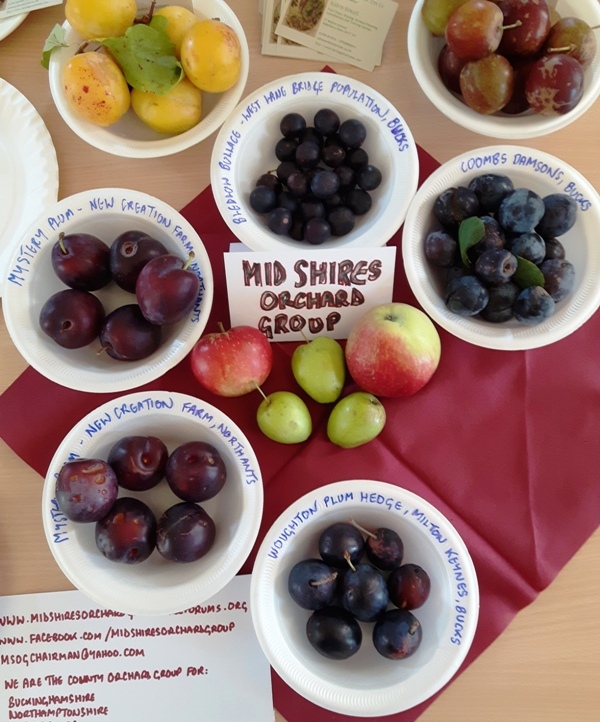 We still use these sensory aids, but these days, botanists at the National Fruit Collection are able to use DNA analysis to confirm our conclusions. We also planted out new trees – some of our project orchards had lost a lot of their veterans and needed young replacements. 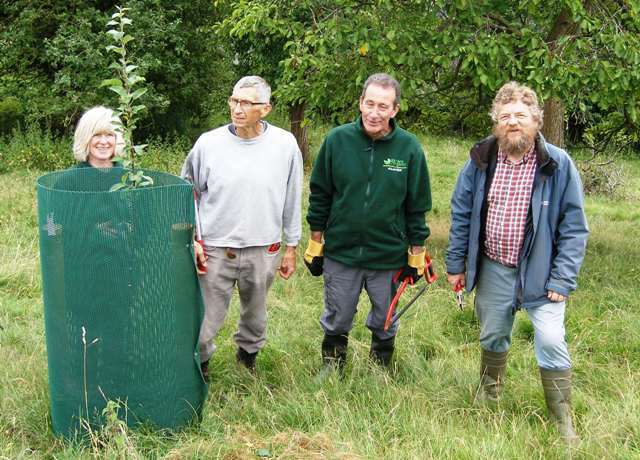 Our wonderful volunteers planted out 500 tress in all, of 50 different local varieties. These were grafted for us, and we planted many of them in the places where they once flourished but had since disappeared.